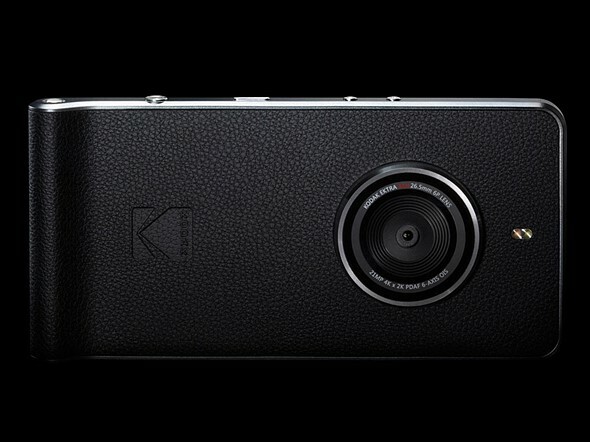 A few weeks ago, Kodak announced the Ektra, its new ‘photography first’ smartphone designed to appeal to mobile photographers. Designed to look like a camera as much as a phone, the Ektra includes a 21MP rear camera, a 13MP front camera (for the obligatory selfies you’re sure to take), and features such as an F2.0 maximum aperture, phase detect autofocus and optical image stabilization. Additionally, Google’s Snapseed editing software is integrated directly into the photo gallery app. The Ektra is set to go on sale in Europe on December 9 at a cost of €499, but The Irish News is reporting that it has already gone on sale at a pop-up store in London’s Soho neighborhood for anyone who wants to get their hands on it a bit early. What do you think about the Ektra? Is this a have-with-you-all-the-time camera that you would use? Tell us in the comments.